All those who decried European captain Thomas Bjørn’s decision to pick Sergio Garcia as one of his four wildcards were left to eat a large slice of humble pie after the 38-year-old Spaniard delivered three vital points, including a hugely important singles win over Rickie Fowler, at the 42ndRyder Cup in Paris. Roundly criticised for picking the out-of-form 2017 Masters champion, Bjørn’s bold decision to go for all-out for wildcard experience in a team that already included five rookies, worked out well, as his four wildcard selections – which also included Henrik Stenson (3pts), Ian Poulter (2pts), and Paul Casey (1.5pts) – combined to add 9.5 points to the Europe’s final tally of 17.5, a record haul for captain’s picks on either side, and easily surpassing the 7.5 points achieved by the wildcards in Europe’s similarly emphatic victory at Gleneagles in 2014. 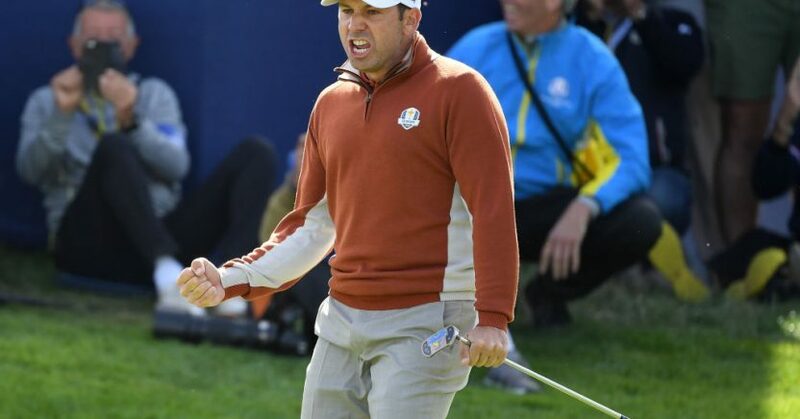 Described by Bjørn as the ‘heartbeat’ of the European team, Garcia certainly put his heart and soul into his matches, and his sheer presence seemed to inspire those around him – something that gets lost amid the qualifying points system. Casey, returning from a decade away from the Ryder Cup, performed equally impressively, gaining a vital half point on Sunday against dual US Open champion Brooks Koepka in the second match out, and combining with Tyrrell Hatton to win another point against Dustin Johnson and Rickie Fowler in the foursomes on Friday, while Poulter, who only just missed out on automatic qualification, once again lived up to his nickname as the postman, by delivering an impressive 2up singles win over Johnston, and a foursomes point with Rory McIlroy on Friday. 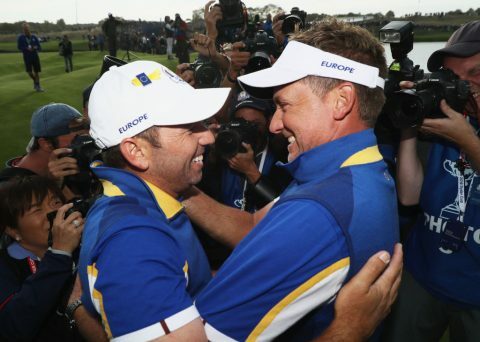 Stenson, taking part in his fifth Ryder Cup, put aside any worries about his form and his fitness by matching Garcia with three points of his own, taking his overall career points tally to 11. 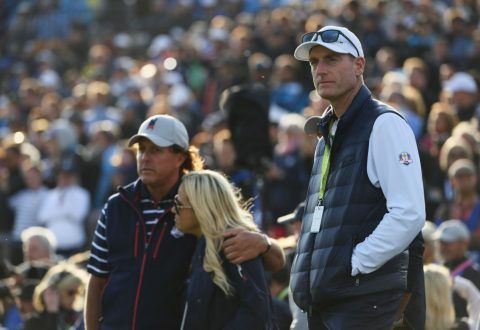 Conversely, US captain Jim Furyk managed to squeeze just two points from his four wildcard choices, with Tiger Woods going 0-4, Phil Mickelson 0-3, Bryson DeChambeau 0-3, and only the admirable Tony Finau, who only had two weeks’ notice that he was in the team, putting some much-needed red on the board, including a 6&4 hammering of the previously all-conquering Tommy Fleetwood on Sunday. Furyk stood by his selections in the aftermath of the 17.5-10.5 defeat, as all good captains should do, but when he faces the next Ryder Cup Task Force, which will surely be reconvened after this latest disasterous overseas mission, he must be called to account for selecting Mickelson, who was ranked second to last in the ‘fairways hit’ stats on the PGA Tour this season, and was woefully out of form coming into the matches. Furyk will also be questioned about the preparedness of his team, with his team having only played eight competitive rounds on Le Golf National, compared to Europe’s 233. And while some US players had gone over to Paris for a recce before the Open Championship, it was extraordinary that time hadn’t been put into the schedule for the majority of the team to go over together and try out pairings on the course. The task force will no doubt also question the sense of having the Tour Champiosnhip finish just four days ahead of the Ryder Cup, which clearly left some players looking more than a little jaded, but it’s clear from not only the scoreline, but the style of play, and the mood of the camp, that this was not an entirely happy USA ship, and that whatever cameraderie exists between the players is only a pale veneer played out for the cameras, rather than founded on genuine friendship. And maybe that’s what ultimately separates the two teams. Vive la différence, as they say.